In Part III of the Moving Blockages series, Heather Bruce looks at the importance of and the simple ways of correcting Qi flow. 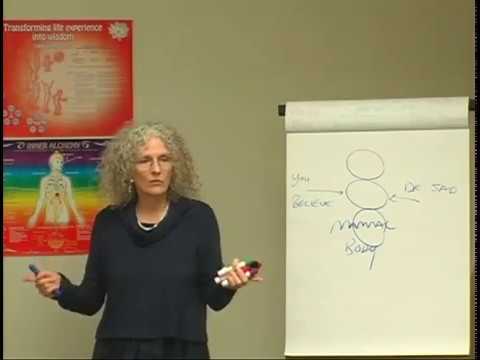 Building from the removal of cold and the flowing of Qi covered in pre-requisite courses Moving Blockages to Healing, Part I and Moving Blockages to Healing, Part II, we will move into structural alignment - how we can permanently correct what may have been a lifetime of trauma and treatment using the concept of living ligaments. In other words, simply getting Qi flowing again. The focus of this course will be Cold stored within the body and how both traumatic life experiences play a huge part in disrupting life flow, thus leading to scars blocking meridians. We have all had major life events that have changed us. These typically ignored incidents, accidents, reactions, and responses are imperative to address and usually result in interesting times in clinic. This course will also focus on daily physical and emotional life stresses that can disrupt the body’s normal functions. Although these stresses are typically ignored in texts and teachings, we will address them in detail as well as how to treat common ailments such as back pain, neck pain, any and all joint issues, and chronic disorders. Turning then to structure – Heather brings in all she has learned in melding her Moving Blockages style of acupuncture with the Maya/Arvigo® and Mercier methods to undo all sacral and pelvic congestion (Dai Mai) which leads to the belly/reproductive and structural problems that seem to be never ending in clinic. Including our own. Heather will conclude the class by sharing multiple interesting case studies which reveal tongue and life changes over time to see how our medicine is holistic and life transforming. By removing blockages and stagnations, we can then look to what might be useful from the texts, and how this is missing from treatment discourses, causation and thus projected treatment and prognosis. In summary, Heather shares how you can help patients heal from within by going over the importance of correcting the qi flow, what is cold and how it gets into the body, emotional causes of diseases, and how traumatic life experiences can play a big part in our health. Heather will also share case studies on back pain, neck pain, joint issues, chronic conditions, and many more. Following Part III is Part IV in which participants explores the role we play as traditional and natural health care professionals integrating ancient teachings into today’s modern medicine.